Home automation is a new suite of technologies that allows home owners to remotely control many aspects of their home operations. This includes home security systems, door locks, lighting throughout the home, thermostats for heating and air conditioning, carbon monoxide alarms, fire alarms, flood alarms, and entertainment features, among others. Home automation basically creates a network of all a homeowners devices and appliances, and makes it easy to control everything with the touch of a button. This blog post will explain a little more about what home automation is, and some of the many advantage to installing home automation system in your home. For more information on home automation, including professional installation services, be sure to contact Quality Audio Video. 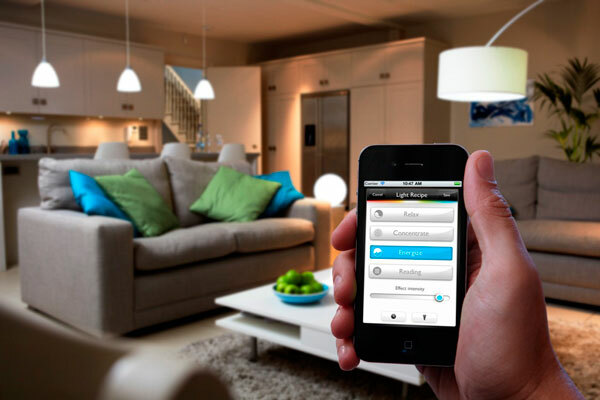 Home automation allows homeowners to have full control of many aspects of their home. It allows users to program or dictate the operation of all their appliances and home features. Owners can select how a device should react to a specific situation, when to react, and why it should react. All that is needed is for the user to set the schedule and program the responses. For example, if your child gets home from school every day at quarter past three, you can program the front door to open right on time, as well as send you a text message or email alert when they arrive home. This type feature can help you keep track of your children and know when they get home safe. Home automation will increase the functionality of your home. It allows you to remotely control the thermostat, allowing you to turn down the heat or air conditioning when you are out of the house. This will help save money on energy bills. Similarly, it allows to you control the lighting in your home, to ensure you keep your electricity bills low. You can also program certain lights to come on at certain times of day. The front porch light can be programmed to turn on after dark, increasing the security of your home, and making sure you can easily enter your home after dark. Similarly, if you go out of town for a few days, you can program an interior light to come on in the evenings, making it appear to the outside as though someone is home. Home automation is also the ultimate in convenience for your home. You will be able to control the television and stereo from any room in your home. You can also dim the lights in the living room while watching a movie, without ever having to get up off of the couch. If you are having a party or entertaining friends, you can easily change the music or turn down the tunes from your smart phone or tablet. If something goes wrong in your home, you can get notified immediately with a home automation system. For instance, if a pipe breaks in the winter it will set off the home’s water sensor. Both you and your remote monitoring company will be instantly notified so the leak can be repaired before any costly damage. Most home automation systems also have remote security monitoring, ensuring a fast response from authorities. Comments Off on What is home automation? Plastic surgery website design is the backbone of your marketing approach.